Application Problems 1 - 50, Secure or Not? 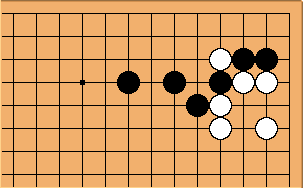 Black to play and link up his 2 stones. ilan: I was just wondering, is it just my backcover, or do all backcovers of this book say it is 200 Endgame Problems. ilan: I checked out the bookstore, and their copy on display also features this.